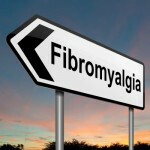 Hey everyone – Active Living Bob the Blogger here! With approximately 6,923,481,275,284,378 blogs on the Internet (and increasing by the minute), I really need to not only be a trusted source of reliable information, but I need to keep you the reader interested and perhaps even entertained as well . . . right? RIGHT! So, I dug back in my (what’s left of it) memory bank and for whatever reason stumbled upon two things: the CrackerJacks theme from the ’60s and “Mr. Subliminal” from SNL fame. Watch how I cleverly intertwine these two themes as I tell you all about the incredible active adult living community that is Providence Point in Issaquah, Washington. Do you Wish to Live in a Home with No Electric Bills? Are your electricity bills getting you down? Is it cutting into your savings and making you worry? We all know the problems with paying utilities. It is a headache that many of us wish we were not saddled with. If you want to put your electricity bill worries to rest, well, that can be done. How about the choice of living in a “No Electricity Bills Home”? You might go “What are we talking about?”, and we will say, “Yes, it’s possible”, so read on. Western Washington’s largest planned community will be officially open for business on Saturday. Tehaleh, called Cascadia for almost 20 years as it was carved out of the Bonney Lake plateau, will have 10 model homes ready for visitors beginning at 11 a.m. They will range in size from 1,700 square feet to 3,000 square feet. One of the models will be from the active adult neighborhood. New owner Newland Communities chose five builders in June for the first 350 lots. Although it has been possible for people to buy a home since then, Newland vice president Scott Jones said this week no sales have closed yet — but he didn’t expect any before the grand opening. Newland has planned a party for about 750 people that includes food trucks, live music and kids activities until 5 p.m. The highlight of the event will be the final race between six final contenders to win a home. Cascadia was the vision of developer Patrick Kuo when he bought the land from Weyerhaeuser in 1991. He envisioned a 5,000-acre planned community of houses, schools and businesses. Kuo lost most of it to foreclosure in 2009. San Diego-based Newland snapped up 4,200 acres last year for $49 million, and formed a partnership with Sekisui House, one of Japan’s larger homebuilders. Tehaleh, pronounced TAY-HA-LAY, comes from Chinook jargon and means “high ground, superior land or land of the gods,” according to Sekisui’s website. In September, about 1,400 people entered Newland’s contest to win up to $280,000 to put toward a brand new home of their choice. Finalists were narrowed down through various online challenges, one of which was so popular it caused confusion for several hours on who had advanced to the next round. Jones said although that part of the contest was designed to advance only 100 people, the company ended up advancing 179. Tehaleh is planned to have about 5,900 homes, a 419-acre employment center, a fire station and up to seven schools. More than 1,000 acres of parks and a trail system are scheduled to be open to the public this weekend, as well as a locally owned cafe in Tehaleh’s main visitor’s center. Keeping healthy becomes a major priority for seniors once they reach a certain age. This is something that everyone should take seriously. Keeping fit and healthy enables you to enjoy life to its fullest. Good health does not come without effort. It requires the relieving of stress, keeping active, hydrating your body sufficiently and eating the proper foods. When it comes to keeping active and relieving stress, yoga is considered extremely beneficial. It is an active exercise that is almost always recommended for people of all ages, by various healthcare practitioners – because there are numerous health benefits. If you think that yoga is only beneficial in relieving stress, you should know that there are many more benefits that you might not know about. For example, yoga increases your self-awareness. With self-awareness you are aware of your body and thereby, you make improved lifestyle choices. This helps to contribute fully to physical fitness. Yoga is also a form of meditation and body movements. Meditation, through yoga, helps you clear your mind and helps you focus better, and it has been proven that meditation can fight feelings of loneliness and depression. Among other things, Yoga also improves strength and flexibility and helps you with balance. This is extremely helpful at your age. Yoga helps reduce your heart rate, cholesterol levels, glucose levels and blood pressure, improve mood, and enable improved sleep. These factors are extremely important for boosting immunity, managing general health and improving the quality of life. As yoga is mostly about mind control, you can be assured of improved memory and concentration, which are fears that plague almost all adults over the age of 55. The health benefits of yoga are numerous. 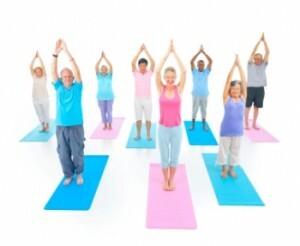 This is the reason that many active adult communities provide you with yoga classes almost on a daily basis. Furthermore, these communities also enable you to stay active and healthy by giving you choices where you can be physically fit in various forms of exercise and activity. If you prefer more vigorous forms of exercise, such as tennis or aerobics, you can engage in these in almost all of these communities. Almost every community is equipped with indoor and/or outdoor swimming pools, fitness and training centers, jogging, walking, and bicycling trails etc., that help you to stay healthy. These communities are geared to provide the best for their residents, and that includes insuring their well-being through opportunities to keep fit. This is why they make sure that you are provided with all you need for a healthy and active life when you retire. However, it is important that you obtain your doctor’s approval before beginning any exercise program. If you are looking for a senior retirement community that provides you with yoga studios or swimming or jogging facilities etc., you can try some of the communities mentioned below. These are just a handful of the communities that enable you to enjoy your yoga classes. Visit ActiveAdultLiving.com and find many more communities that offer you yoga studios and other exercise choices to ensure you stay fit and healthy to enjoy a good life. 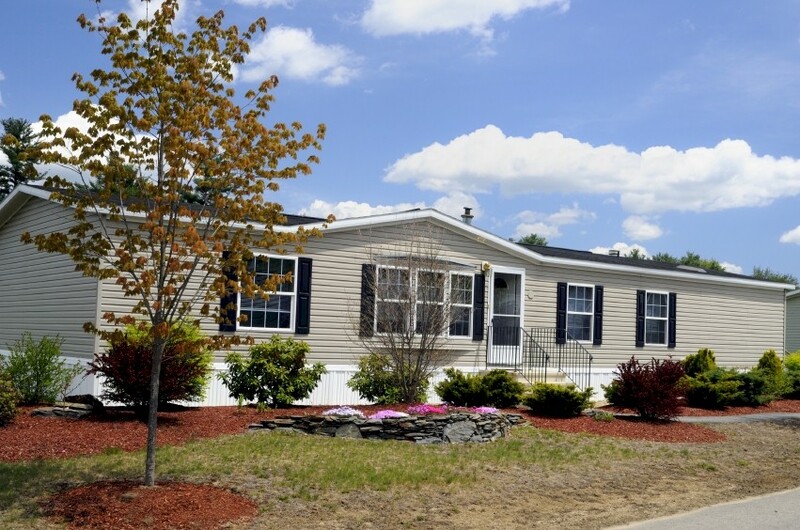 If you have not found that ideal home you are looking for to settle down after 55+, so many options are yours to browse through when you visit the national directory of communities at ActiveAdultLiving.com. Visit this website for a comprehensive look at more than 5,800 communities that are specially geared for active adult senior residencies throughout the USA, Canada and Mexico. Have Your Secured Your Passport to Good Life? If you want to try out an Active Adult Community before you make up your mind to settle in one, then Trilogy’s Passport to the Good Life promotion is tailor made just for you. Shea Homes’ Trilogy communities special events are now open for those wishing to try out how residents of these communities enjoy their daily lives. These active senior living communities have a social calendar that keeps rolling on with great events and fun filled action. From happy hours to barbeques, dinners, dances, parties, live music and much more, these events are now open to you too, if you hold a Passport to the Good Life. You are invited to check out any of the Trilogy communities and their happenings by simply securing a Passport to Good Life and calling and booking your attendance at the events so that you will be well taken care of, pampered and included in the good times happening in these communities. For each event you take part in, you are also awarded a $1,000 Passport Savings certificate that you can use for a discount on a Trilogy home purchase. After experiencing all that Trilogy has in store for its residents, there is a high probability that you will be making use of those Savings Certificates. Your Passport to Good Life will be as good as an All Communities passport! Yes, with this pass, you can visit communities in different locations, see their variety of home plans, and lifestyles. The Passport to the Good Life is valid for any of the Trilogy communities and Shea Homes developments as listed below, so check out what is happening in each of these places. Enjoy Happy Hour Thursdays, from 4-7 pm where special menus and weekly drink specials are on offer with great prices to keep the merriment affordable and enjoyable. Taste fantastic dishes that Chef Brandon will put up, and make note that nothing stays the same in the menu, with changes each week to keep your pallet treated to novel dishes. If you are looking for a getaway for Labour Day, why not book a visit and take part in the Labor Day Celebration happening on 3rd September at the Mallorca Event Center. The fun starts at 5:30 – 9:30 pm. Celebrate the long weekend with friends and would be neighbors at Encanterra with a fabulous fun filled Western Dinner and Dance with AriZona playing you the good tunes to line dance. Chef Brandon’s special western themed menu for the evening includs Ribeye steak off the grill, ¼ chicken, chopped steakhouse wedge salad, grilled corn on the cob, bacon cheddar drop biscuits; salad and butter cake with ice cream for dessert!Throw on your cowboy boots and cool jeans and go boot scootin’at Encanterra Country Club with your Passport to the Good Life. Chocolate and wine lovers should keep the 1st of September free for taking part in a mouth-watering wine and chocolate tasting from around the world at the Sculpture Garden.Entrance is free for all these events if you hold a Passport to the Good Life.On September 16th the Avila Room will come alive with the Wine and Music Formal, where you get to dress up and enjoy a night of wine and music, not to mention the fun of voting for the best bottle of wine. That’s not all for September at Monarch Dunes as the Bocce and Chili Cook Off happens on Sunday, September 23. Cook the tastiest chili and yours may be voted the best of competition. Book your seats for the Cash Tribute Show happening on September 1st from 7 – 9 pm at Vista Club Patio and it will only cost $15. This is a classy and authentic production, The Cash Tribute show featuring James Garner. The show is in honor of the legendary “Man in Black,” Johnny Cash. Take part in the fun, toe-tapping trip down memory lane honoring Cash’s life and the boom-chicka-boom sound of his longtime backing band, the Tennessee Three. Yey! Its Labor Day celebration happening on Monday the September 3rd at the Kiva Club & pool where you can expect to taste some mind blowing dishes from Café Solaz!Reserve your place and come enjoy the great atmosphere and the great tastes at Vistancia. Another event to look forward to would be the Labor Day BBQ at Trilogy at the Vineyards, on September 3rd, starting at 11 am and going on ‘til 6 pm at the Resort Pool. From hamburgers to hot dogs, chicken leg quarters and potato & pasta salad, this will be one fun filled affair to take part in. If you simply want to have a chat over a glass of vine, why not choose the Grape Vine Chat Happy Hour falling on Fridays on September 7, 21, & 28 at the Helak Grand Living Room from 6-9 pm. If you visit Trilogy at the Vineyards on the 8th of September, then Good Life Concert Series, the Tennessee River is for yours to enjoy, at the Club Los Meganos. This month, much is happening at the Trilogy Vineyards and you may love the idea of Grandparents Day BBQ – Sunday, September 9 at the Resort Pool. It’s a funfilled affair for grandparents and grand children alike! There is much more, throughout the month from Wine Tastings to Trivia Pub Night and Oktoberfest happening on September 30th at the Club Los Meganos. Enjoy a day of exciting carnival games and delicious food at the Magnolia Ballroom on September 3rdat the Coney Island Day Carnival. The fun begins at 11.30 a.m. and goes on till 3 pm. See you there! It’s Big Band Night on September 14th from 5-9 pm at the Magnolia Ballroom. Enjoy hits from the 40s, 50s, and 60s and a delicious buffet style menu for just $20. Nothing says “this is the Good Life” more than this. If you choose to visit Trilogy Orlando with your Good Life Passport, then it’s Frozen Drink Saturdays at the Pool Deck and the Labor Day Weekend with “Bring and Share” Lunch falling on Saturday, September 1 at the Pool Deck. Listen to some beautiful guitar music and enjoy the day with the community neighbors. If you wish to check out Redmond Ridge Trilogy, then Monday Night Dinners at the Cyber Café would be a great time for you to mingle and chat with residents and enjoy the cozy atmosphere at this great community. Last but not least, Shea Homes at Ardiente is another place open to visit with your Passport to Good Life. From cocktail hours at the Fiesta Room on 14th September to the super fun “Minute to Win It” Game Show Night on Saturday, September 15, it’s all great fun at the Ardiente which you too can experience with your special Passport to Good Life. Many more opportunities to enjoy yourself are available through the Passport to Good Life. Contact any of the communities to sample the Good Life through the Good Life Passport. Food, drinks and a good time are guaranteed in any one of these active adult retirement communities with your Passport to the Good Life. Check out more information any of these communities or any other senior living communities across the USA by logging on to ActiveAdultLiving.com. Homes at Less than $150,000 in Active Adult Communities – Interested? Buying a house can be an expensive affair. The costs of houses these days are exorbitant and sometimes, ridiculous. If you are of retirement age and thinking of retiring to an active adult community, you may wonder about the prices of these homes. Although you might have saved a significant sum of money as you planned for purchasing a home in your retirement, some homes may be beyond your budget. What would you do in an instance such as this? You definitely do not want to move in with family and children. You want an independent lifestyle where you can hang out with people your own age who have similar interests and lifestyles. However, if the price is what is bothering you, you should know that there are hundreds of communities for 55+ senior active adults with homes that are priced less than $150,000. Check out nearly 2,900 Active Adult Communities with Homes Priced at $150,000 or Less by browsing through the ActiveAdultLiving.com communities database. Apart from the price of the home, you should consider other factors before you purchase or rent a home in an active adult community. You should not consider a cheap retirement home without considering the reputation and longevity of the property developer and home builder, the community’s level of maintenance, the services and amenities provided and the number of people who live in the community.Below are listed some examples of communities that are well maintained, have a good reputation, and provide you with the amenities to make your life interesting and exciting. Providence Point is one of the best valued retirement communities in the state of Washington. This is a 180-acre, gated community set in one of the most beautiful surroundings. Homes in this community start at less than $120,000. This is an ideal community for active adults as they can enjoy arts and crafts clubs, bridge clubs and garden clubs, indoor swimming, tennis and much more. All homes in this community have been built to exacting specifications. You are sure to find a home that fits your budget and lifestyle in this community. 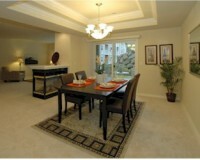 East Bay Point is an age-targeted, maintenance free, senior friendly community. It is an intimate community that is situated close to shopping, beaches and dining. Homes on East Bay Point are built according to ranch style homes for space and comfort. 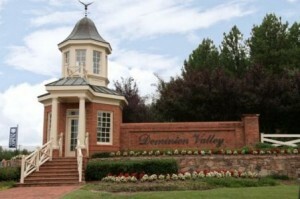 You will enjoy a life of extreme comfort and relaxation if you purchase a home in this community. With homes priced starting at just $139,900(such as their Sundeck Model for quick delivery on lot 3) you are sure to find a great home in this community that will please your tastes and your pocketbook. This is a value-priced luxury gated, golf and boating community bordering the Albemarle Sound and Yeopim Creek.It is a 2,000 acre community that offers you the choice of purchasing single family detached homes, condominiums (currently starting at under $135,000) and ready to build lots, some priced at less than $35,000. Albemarle Sound provides you a superb 18-hole golf course, a large 25-meter swimming pool and lighted tennis and bocce ball courts. You can stay in shape, relax to your heart’s content, and make new friends and enjoy your retirement in this gorgeous waterfront community. A senior retirement community that you can afford that provides you all the amenities and facilities you need for the right price are just within your reach. There are a number of other communities that you can consider. 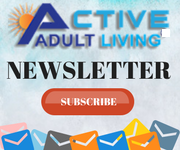 If you are looking for affordable, well-maintained, age targeted or restricted active adult communities, you should visit ActiveAdultLiving.com. All communities are categorized according to price, lifestyle and state to make your search easier. By the way, if you are 62 years of age or better, you could be able to double your purchasing power and preserve your hard earned cash by utilizing a HECM for Purchase mortgage with no monthly payment – ever, for as long as you or your surviving occupy the home as your primary residence. And here’s some more good news; credit history and current income are NOT even considered with the HECM for Purchase mortgage, according to Bill Thomas of Lifestyle Planning 101. So with that in mind, you might want to set your sights higher and get yourself a bigger place or buy a home with more optional extras than what you originally thought you could afford! Your home can become a lonely place that gives you the feeling of emptiness once your children have left the nest. Then it may be time for you to consider purchasing a home in an active adult community where you can be with like minded people of similar ages who will share the same stage of life – what we like to call your ‘second youth’. If you relocate to an Active Adult Living community, you may get to enjoy a host of social activities and be rid of some or all of the burdens normally associated with maintaining your residence as some of these communities have homes that are maintained by the property management for you.We understand that purchasing a home and relocating is a large commitment. It is an investment that requires great thought and consideration. There are various factors that should be taken into consideration if you are considering purchasing or even renting. 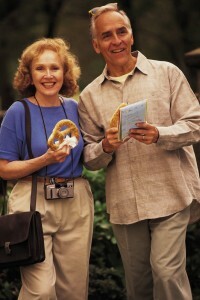 One of the most important aspects to consider when selecting senior retirement communities is your preferred lifestyle. What would you rather be doing during this carefree 55plus phase of your life? Would you be interested in spending your days at the beach, playing golf or living the peaceful life in the fresh countryside?The ActiveAdultLiving.com website offers details on over 5,800 communities and is categorized for you by lifestyles. Coastal living is extremely popular and it is a healthy lifestyle. Living near the sea can help to make you really fit and refreshed. If you are interested, there are several communities that are available with wonderful beach access and even beach fronts. The Four Seasons at Sea Oaks in Barnegat, New Jersey is another community where solitude and peace and quiet are provided in abundance. This is a small, community where boating and fishing and playing golf will keep you entertained throughout the day, whenever you may decide to drag yourself away from the beach. There are, in fact, 8 different communities detailed in Barnegat, New Jersey on the Active Adult Living website offering a range of lifestyles, home types and price ranges. If your idea of perfect life is playing a round of golf and soaking in the sunshine and drinking up the scenic beauty, then consider golfcommunities such as Heritage Shoresin Bridgeville, Delaware – with its 18-hole championship course designed by popular golf course designer Arthur Hills. Here, you will find a well-manicured and impressive golf course suitable for many hours of teeing it up. 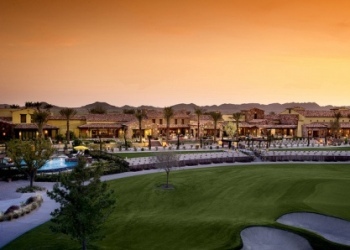 You can also consider Terravita Golf and Country Club, in beautiful Scottsdale, Arizona. It is one of the number one golf courses in Arizona. This golf course provides you scenic and breath-taking views, with an 18-hole course with a two-way driving range plus chipping, sand, and putting practice areas. If you prefer to be nestled among the mountains, playing golf or swimming with mountainous vistas for your scenery, you can consider communities such as Heritage at Eagle Bend, Colorado. Located just outside Denver, this fabulous senior retirement community provides you hours of activities with breath-taking views of the Rocky Mountains. Montreaux Communityin Mount Vernon, Washington is another active adult community where mountain views are guaranteed to impress. This community is equidistant to Seattle and Vancouver, BC, and each home is designed andbuilt to make the best of active senior living. Whether you prefer mountain living, golfing, coastal living, waterfront communities, ranch style low maintenance condominium living, or whatever – you are sure to find the home of your dreams in any one of these communities. We have just mentioned a few and below are a few more for you to check out. Whatever your requirements and preferences, you can consider getting online and clicking on ActiveAdultLiving.com for easy access to details on more than 5,800 communities across the country. It is the most comprehensive online data resource for your reference, when you want to find an Active Adult age-restricted 55+ or Active Lifestyle (age-appropriate) Community to fit your needs. You will find that it is extremely user friendly and categorizes properties per price, state and lifestyle. Your search will yield hundreds of communities with home details, house layouts, activities offered and prices to facilitate your decision-making process.